This isn’t just a photo session. It’s an experience to check off your motherhood to-do list! 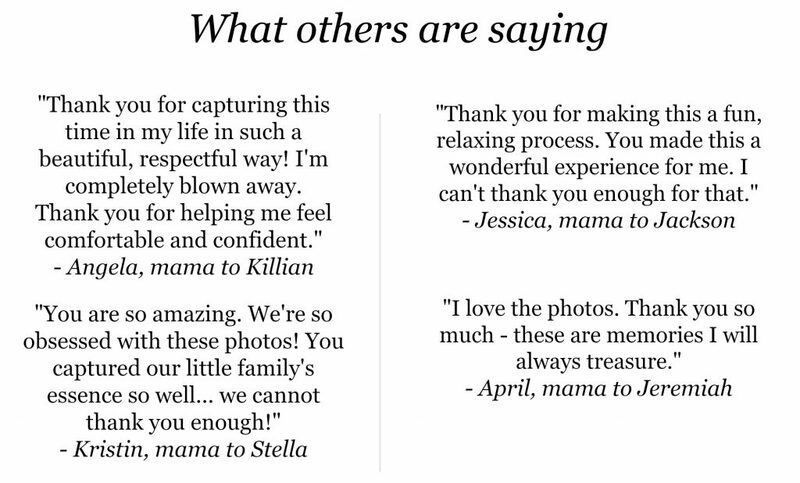 – The Celebrate Motherhood style magazine, a 45+ page guide filled with my best advice for a gorgeous, memorable photo session you’ll love for a lifetime! It will make preparing for your photo session totally effortless! … along with birth announcements and custom slideshows, a Keepsake guide to help you decide how to show off your photos – and so much more! Even better, your photos are usually ready for you within one week.